Ever since he took over production on Disney and LucasFim's Han Solo spin-off, director Ron Howard has been quite active on social media, sending out cryptic set photos and updates as production continues. 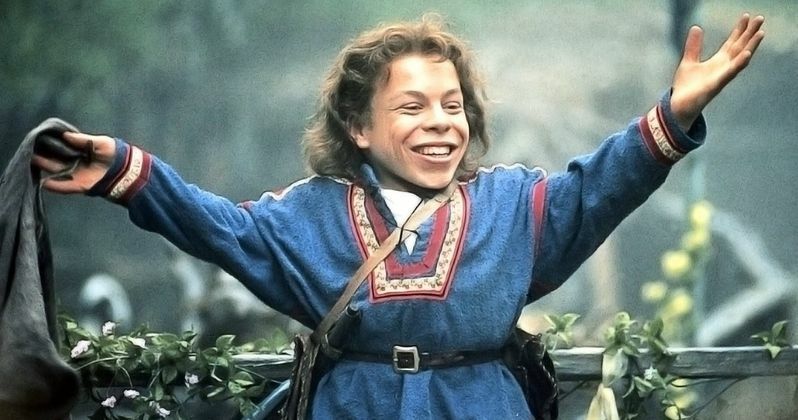 Today the filmmaker took the time to answer a fan's question about the long-rumored Willow sequel, with the director confirming that today marked the first time in over 30 years that the filmmaker directed his old friend Warwick Davis, stating that, "It made me happy." Warwick Davis himself responded on Twitter with the following statement. "Reminded me what a wonderful experience #Willow was, made so by your expert direction & friendship. After 30yrs, you've still got the magic!" Unfortunately, the statements on both Ron Howard's Twitter and Warwick Davis' Twitter do not shed any light on the scene that they were filming, or what character Warwick is portraying. We did get to see Warwick Davis in an Omaze video from the set earlier this year, when directors Phil Lord and Chris Miller were still on board, although neither the actor nor the directors would shed any light on his character. While he didn't appear in the Rogue One spin-off, Warwick Davis was featured in Star Wars: The Force Awakens as Wollivan, a creature who was seen at Maz Kanata's pub. When Ron Howard took over the production, it was believed there were only three weeks left of principal photography, with five weeks of reshoots also automatically built into the schedule. It's been nearly a month since Ron Howard started shooting in late June, so it's possible that the cast and crew are just moving forward with the reshoots right away, but the production schedule has yet to be confirmed by Disney or LucasFilm. The studio has maintained ever since Lord and Miller parted ways with the project that they are still keeping the May 25, 2018 release date, which marks the 41st Anniversary of the first Star Wars movie. The director has also been sharing some interesting photos from the set, with one featuring Chewbacca (Joonas Suotamo) embracing another Wookie, although it isn't known who this other character may be. Since this is set roughly a decade before A New Hope, it remains to be seen who this Wookie could be, perhaps someone in Chewbacca's family. It's worth noting that, in February, the novel Star Wars: Aftermath has made Chewbacca's son Lumpy part of the canon, after his first appearance in the much-maligned Star Wars Holiday Special. Still, since this story is set likely before Lumpy was even born, there is no telling who that other Wookie is. All we do know at this point is production continues on Han Solo with stars Alden Ehrenreich, Woody Harrelson, Emilia Clarke, Donald Glover, Phoebe Waller-Bridge, Thandie Newton and Joonas Suotamo. Since this movie skipped Comic-Con last week, it's possible that the movie may have a presence at the much-smaller New York Comic-Con, but that doesn't seem likely. It's also worth noting that there will be no Star Wars Celebration next year, so there will be no major events or conventions for Han Solo to be promoted at, that is, if they keep the May 25, 2018 release date intact. While we wait for more on this highly-anticipated spin-off, take a look at Ron Howard and Warwick Davis' tweets below.